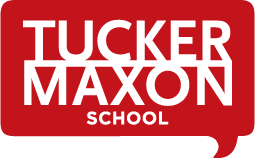 Tucker Maxon is a parent’s first choice for outstanding independent education for children Preschool through 5th grade. 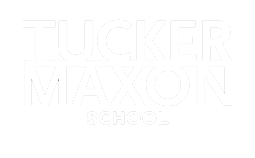 Since 1947, Tucker Maxon has taught children to listen, talk, learn and achieve excellence together. Our small classroom environment has an average of 8:1 student-to-adult ratio. We focus on academics, communications, and emotional intelligence. Highlights of the school include experienced and caring teachers, art, music, and daily PE with a rock-climbing wall, robotics, organic gardening, summer camp, and our goats and chickens. Schedule a tour today! Tucker Maxon School teaches deaf and hearing children to listen, talk, learn, and achieve excellence together. Our goal at Tucker Maxon is to help every child reach their full potential in school and in life. To be a parent’s first choice for listening and spoken language instruction; delivering services of outstanding quality for children, from birth through grade 5. Tucker Maxon is a unique school where hearing impaired and typical hearing children learn together. These two groups learn from each other. Learning alongside students who are hearing impaired, our typical hearing students learn to value differences and become strong communicators. Learning and playing alongside their typically hearing peers, our hearing impaired students learn to listen and talk from from their friends. Tucker Maxon is an auditory-verbal school, which is another way of saying we teach all of our students to listen and talk. While we respect all forms of communication and a parent’s right to choose what is best for their child, sign language is not a part of our curriculum. Tucker Maxon creates a language-rich environment with many opportunities for open-ended discussion, hypothesis, and critical thinking. At Tucker Maxon we believe that vocabulary, abstract language and question comprehension are critical to a child’s success in school; as such these ideas occupy a prominent place in our curriculum. We respond to each child’s individual needs with small class sizes and a dynamic, collaborative teaching approach that lays the groundwork for a lifelong love of learning. Students who need extra help receive it; those who are ahead are challenged appropriately; and every student is known and valued.